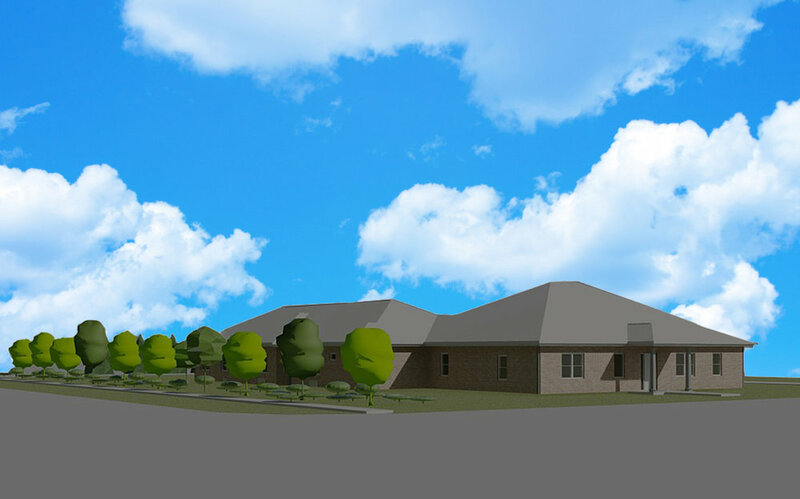 A new Augustinian friary will soon be built in Homer Glen, Illinois. The friary will accommodate up to six Augustinian friars. Located at 160th and South Bell Road on the property of Our Mother of Good Counsel Parish, the new friary is a joint effort of the Diocese of Joliet, the Midwest Augustinians, Our Mother of Good Counsel Parish, St. Bernard Parish and other benefactors. The friary will include two 2-room suites for the pastors of St. Bernard and Our Mother of Good Counsel, plus four large bedrooms, all with private baths. The common area will include a chapel, family room, dining room, kitchen, sitting room/parlor, storage, a 4-car garage, and an enclosed courtyard. There will also be an unfinished lower level that can accommodate two additional rooms in the future as well as space for additions to the garage. The new friary will house Fr. Joseph Broudou and Fr. Joe McCormick, the Augustinian pastors of Our Mother of Good Counsel Parish and St. Bernard Parish respectively—both in Homer Glen. The friary will be a residence for Fr. Terry Deffenbaugh, lifelong youth minister and currently chaplain and teacher at the University of St. Francis in Joliet and semi-retired Fr. Tom Osborne, founding pastor of Our Mother of Good Counsel who still helps there. In addition, the friary will be suited for retired or semi-retired Augustinians and will also be able to accommodate seminary interns interested in parish ministry. In recent years, the Midwest Augustinians have been increasing their presence and ministry in the diocese of Joliet. In nearby New Lenox, the Augustinians accepted the administration of Providence Catholic High School in 1984 and St. Jude Parish in 1993. In 1996 Augustinian Father Tom Osborne founded Our Mother of Good Counsel Parish in Homer Glen and in 2017 Augustinian Father Joe McCormick was appointed the pastor of St. Bernard Parish. Up to the present, the Augustinian friars have lived in the rectory owned by Our Mother of Good Counsel Parish. 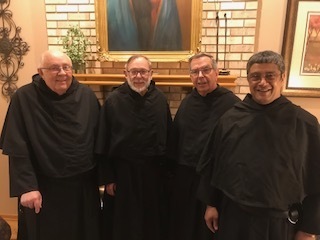 The project is being funded primarily by the sale of St. Bernard’s rectory which was owned directly by the diocese, the sale of Our Mother of Good Counsel’s rectory, a major gift from the Midwest Augustinian Province of Our Mother of Good Counsel and other benefactors.